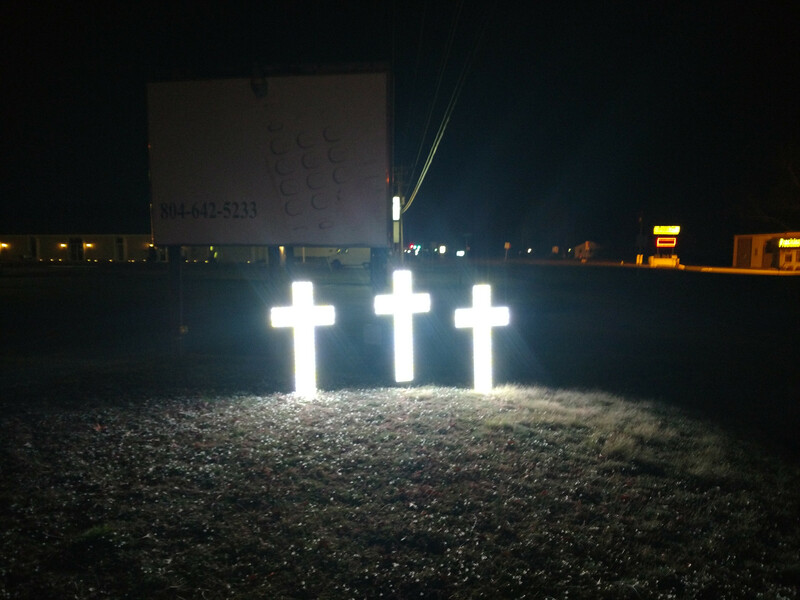 This Easter we made three new crosses. W e also had a new animation on the matrix. When you look at it from far away you can see that the beams of light go across the entire building.